LOS ANGELES, Calif. /California Newswire/ — Union Institute & University’s Board of Trustees today announced the appointment of Dr. Karen Schuster Webb as the university’s sixth president, effective July 1, 2018. Dr. Webb succeeds Dr. Roger H. Sublett, who is retiring after serving Union as president since April 2003. Dr. Webb is a visionary leader with a passion for community and mentoring women in leadership, having dedicated her career to the equity of access to educational excellence in the United States, as well as around the world. She brings more than 20 years of executive leadership and an impressive career in higher education, most recently as the Midwest campus president and senior advisor for Academic Innovation to the Chancellor at the Antioch University System. She also served as provost and vice president for Academic Affairs at Antioch University Midwest Campus. Prior to her work at Antioch University, Webb served at Alliant International University System from 2000 to 2013, where she was founding university dean of the California School of Education, overseeing programs in California, Mexico, and the Far East, as well as online programs. She was also associate provost for Community Engagement at Alliant from 2009 to 2013. Dr. Webb served as dean of the College of Education (Baton Rouge) at Southern University and A&M College System: Baton Rouge, New Orleans, Shreveport (Community College), and online from 1998-2000. She co-founded and co-directed the Center for the Study of Academic Achievement in Learning Environments, part of a Stanford University Complex Instruction Institute Consortium, University of Kentucky System: Lexington from 1994-1998. Fluent in Spanish, she was also program director, Language Education Programs, at the University of Kentucky from 1992-1998. Earlier in her career, she served at Howard University in Washington, D.C., Indiana University, Bloomington, and Coppin State University in Maryland. Dr. Webb was appointed chair-elect of the American Council on Education’s Women’s Network Executive Council (WNEC), Washington, D.C. in 2014, and becomes chair of the Executive Council in July. She also served on the ACE Northern California Women’s Network for more than 10 years and held both vice chair and chair positions there. She has earned numerous awards, including Teacher of the Year by the California School of Education doctoral students at Alliant International University, and was selected in 2016 as one of the Top 25 Women in Higher Education and Beyond by Diverse Issues In Higher Education Magazine, honoring her commitment to and advocacy for diversity, inclusion, and mentoring. Dayton Magazine profiled her for their leadership series. She serves on the Advisory Board of William V. S. Tubman University Foundation in Harper, Liberia, and is a member of the Board of Directors for the Dayton Contemporary Dance Company. Dr. Webb has a successful record of fundraising and building relationships and partnerships throughout her career. She served on accrediting peer visit committees for the Western Association of Schools and Colleges and the Southern Association of Colleges and Schools, as well as holding numerous committee leadership positions throughout her career. Dr. Webb has been a leader in her fields of study and has spoken at conferences nationally and internationally. She has published numerous articles in the areas of urban education, sociolinguistics, and language learning. Dr. Webb’s career has been one of service at complex systems, and primarily at institutions serving adults returning to higher education and emphasizing experiential learning-based instruction. She also served at universities that were founded to provide equity of access to higher education for students of color. At Antioch University, she and her leadership team initiated programs that grew undergraduate and master’s degree programs. She secured corporate funding for academic program development and launches and developed private and public sector partnerships, including programs with PNC Bank and the Greene Foundation of Kettering Health Network. She was instrumental in Antioch University’s collaboration with Sinclair Community College in Mason, Ohio, and established articulation agreements with four additional non-competing regional community colleges. She launched the Workforce Development, Community Education, and outreach initiatives for Antioch University with Dayton’s immigrant communities, and established the Antioch University Midwest campus Veterans Affairs Liaison Office. Dr. Webb and her husband, Wallace H. Webb, Jr., a retired educator, are the proud parents of two children, Ramona and Wallace, III. 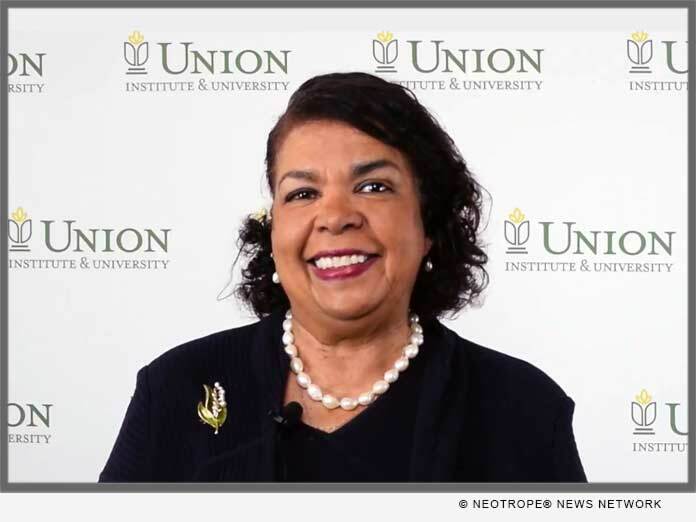 Ms. Christine van Duelmen, chair of Union Institute & University’s Board of Trustees, said, “On behalf of the Board of Trustees of Union Institute and University, I am very pleased to welcome Dr. Karen Schuster Webb as Union’s sixth president. The search committee, consisting of trustees, administrators, faculty and alumni, spent more than a year evaluating and rating potential candidates. A very thorough national search was guided by a distinguished national firm. All Union stakeholders had the opportunity to meet the finalists and provide their feedback. At the January 2018 Board of Trustees meeting, the trustees carefully considered the qualifications of the three finalists and after much deliberation, they voted unanimously to offer the presidency to Dr. Webb,” Trustee van Duelmen continued. A Board-appointed transition committee will assist Dr. Sublett and President Elect Webb in the coming months. She will take office on July 1, 2018.